The iPower is eLeaf’s largest capacity starter device ever. Boasting a whopping 5,000 mAh, it’s sure to last you the entire day (and beyond). Add ultra-fast pass-through charging, and the iPower has virtually no downtime. 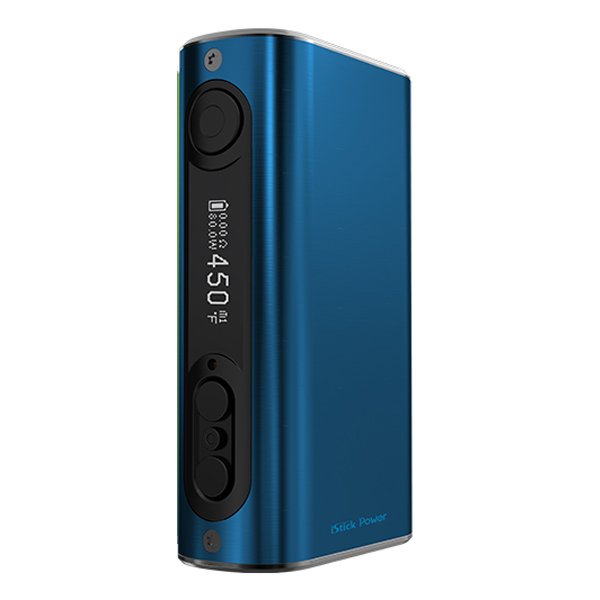 Beyond its excellent battery-life, the iPower is also the most feature-packed mod in its price-range. It has more power than the competition (80 watts). It has all the temperature control modes (Ti, Ni, SS), along with a TCR memory mode. Its “Smart mode” makes other devices seem clunky and unwieldy by comparison. Its firmware is easy to upgrade, and a handy “reset” switch ensures that you will never brick your device during an upgrade. Put simply—the iPower is great for those looking to increase their vape time without getting a huge mod.